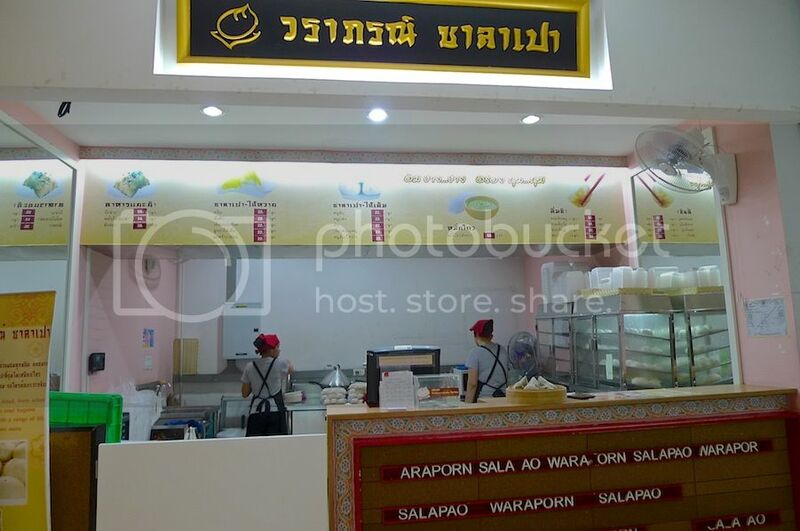 During my holidays in Bangkok last January, I chanced upon a small shop by the name of Waraporn Salapao at Robinson Bangrak. 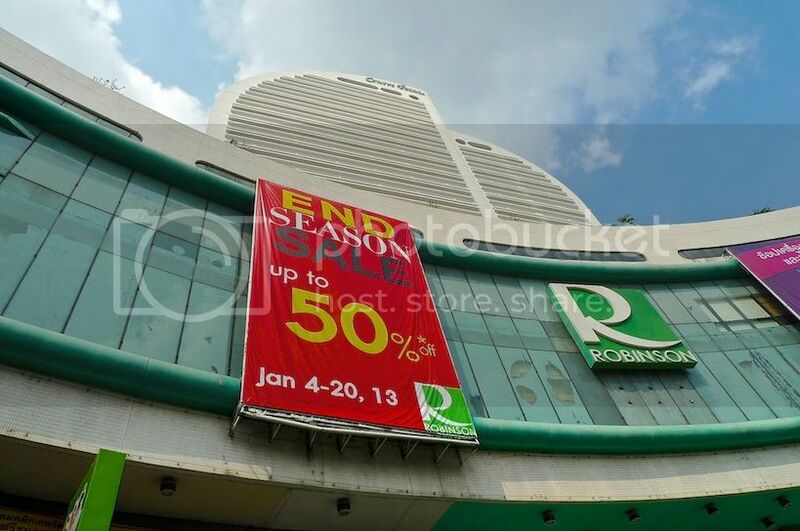 This Robinson shopping mall is a famous landmark along the Charoen Krung Road in Bangrak. Near this mall are good eateries like Prachak Pet Yang, Boonsap Thai Desserts and Volcanic Fried Mussel And Oyster. Waraporn Salapao sells mainly Chinese dim sum food like pao (buns), siew mai (also pronounced as shumai in Thailand) and bak zhang (sticky rice wrapped in leaves). Oh look! Some of the letters came off! Or was it done on purpose? This is how the menu looks like. The first time I came upon this shop, I bought some buns to take-away so that I could have them as supper in my hotel room. 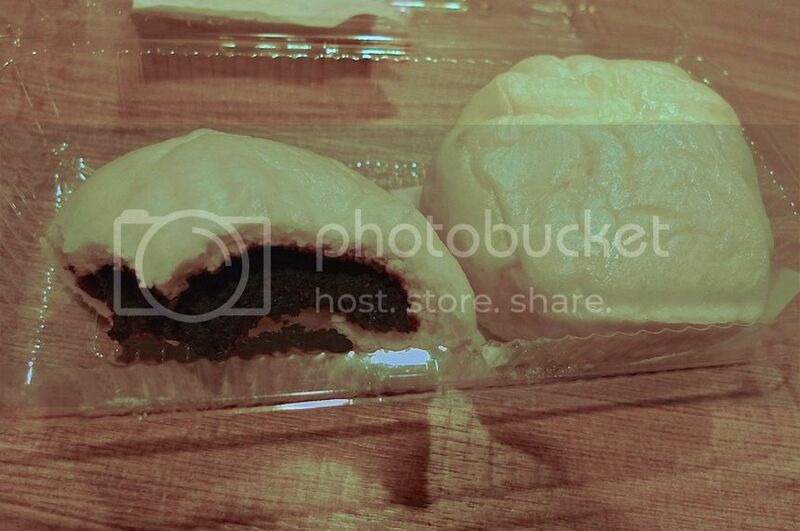 This is a black bean bun (left) and roast barbecued pork bun (right). The black bean bun was quite yummy with generous black bean fillings. 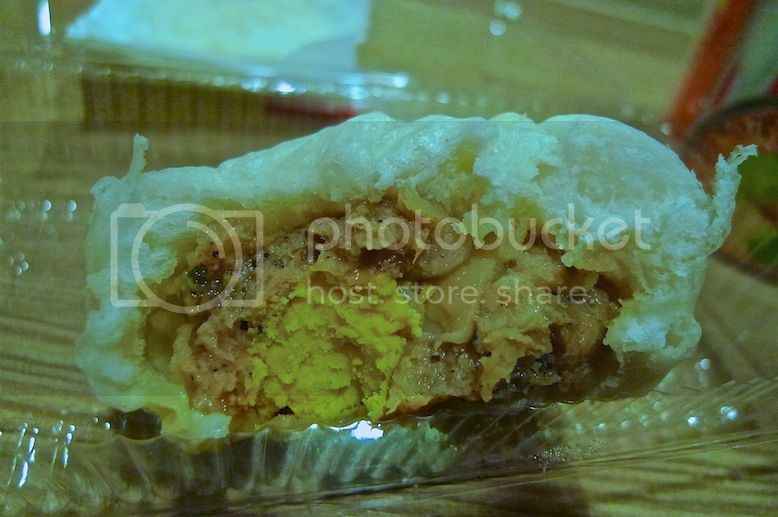 The roast barbecued pork bun was equally delicious with chunks of pork meat and eggs. I like! 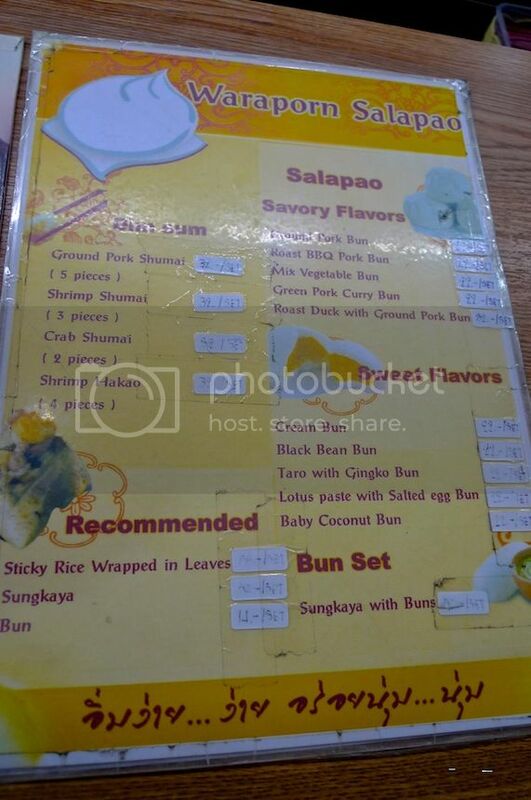 Each bun costs 22 baht (US$0.70 / RM2.20). The buns were good enough for me to make a second visit. 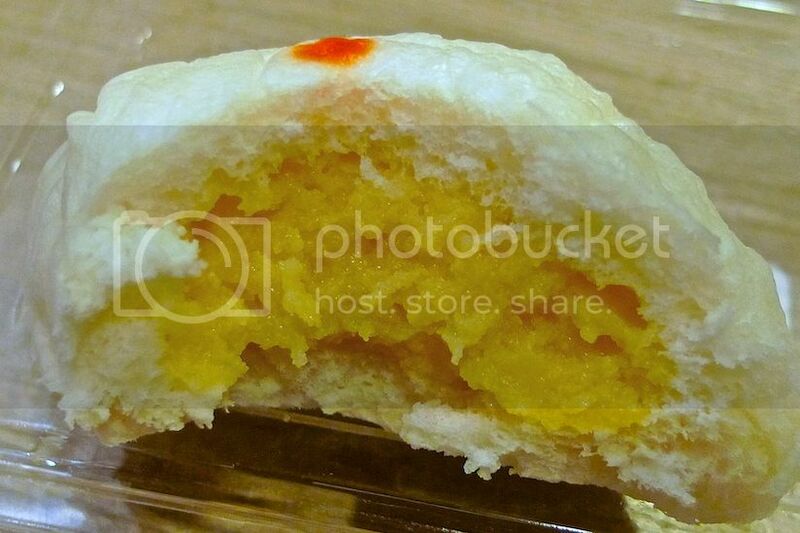 On my second round, I bought a cream bun (marked with an orange dot) and another black bean bun. 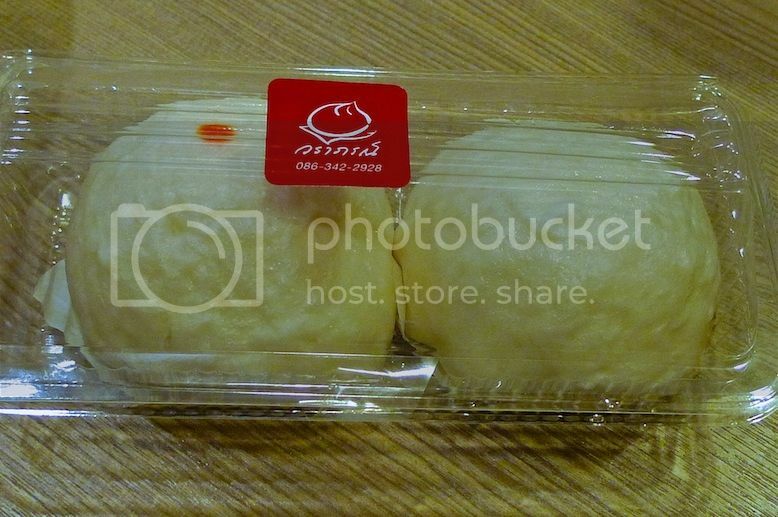 Also priced at 22 baht, the cream bun was delicious! Look at the fillings. Yummy! I also tried their bak zhang. 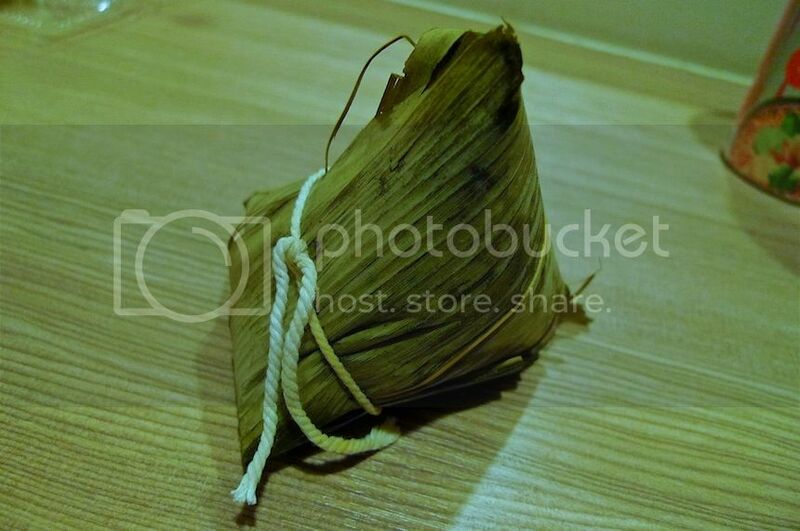 This is how the bak zhang looks like after I unwrapped the leaves. 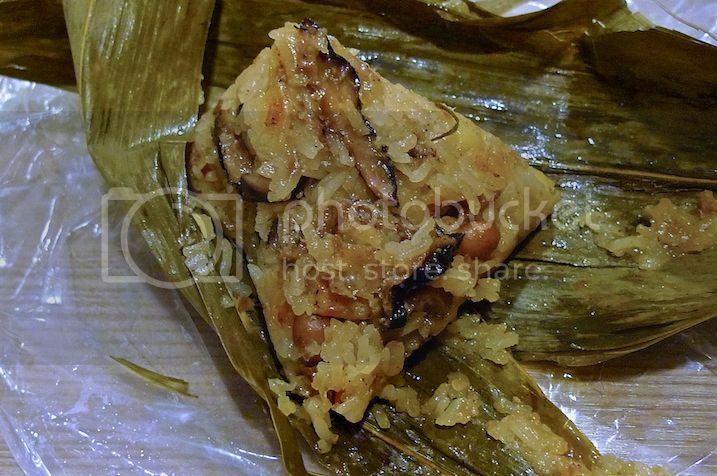 The taste was really quite good, comparable to the bak zhang I ate in Malaysia. The bak zhang costs 55 baht (US$1.70 / RM5.50). Slightly expensive, but it was pretty filling. Not a very good food to eat for supper as it requires a lot of digestive power! 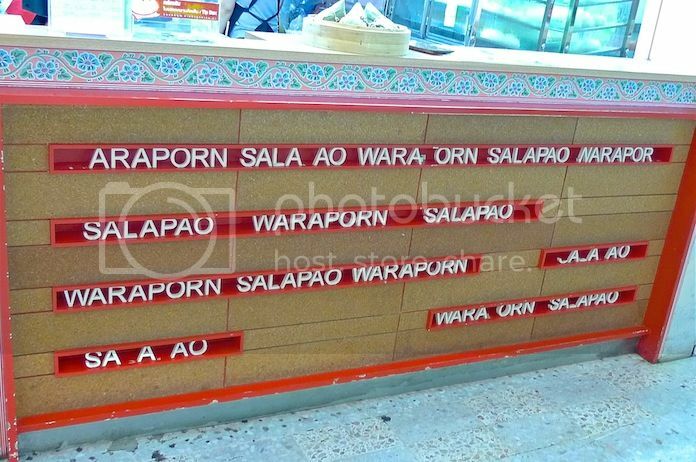 If you ever go to Bangkok, do give Waraporn Salapao a try!